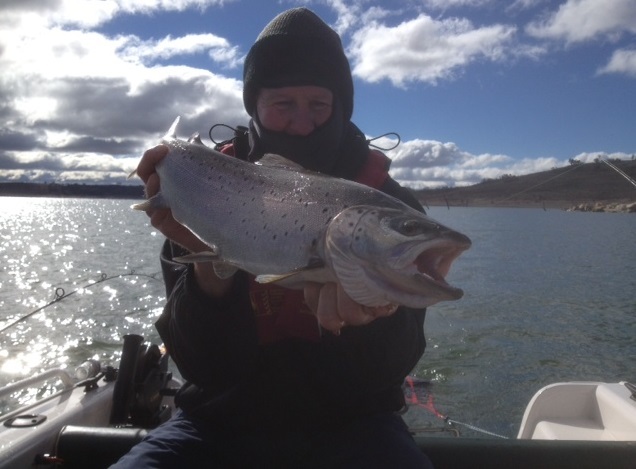 Most off the fishing around the bottom end off Jindabyne has been slow over the last week with few Reports coming in. Over around the Snowy arm a few Brown have been close to the Bank and very Spooky so try some small Nymphs Black and Brown. As I said last week get the sun in your face and you will have Better results. 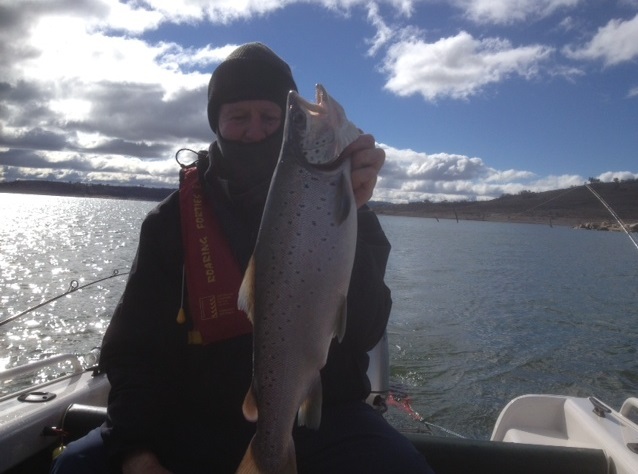 Eucumbene is fishing well down the bottom end off the lake with some good reports coming in from Rushes Bay, Buckenderra, Seven gates with Woolly Buggers doing the best Olive, Black, Brown this is with a very slow retreve my best flie has been the Fuzzy Wuzzy. With the rainbows and browns on the chew. Things are looking better at Buckenderra with some good reports coming in best lures at the moment have been Tassie Devils 48, y36, y48, y82, 79, 75, 50, 74 all around Buckenderra, Middlingbank, Rushes Bay. 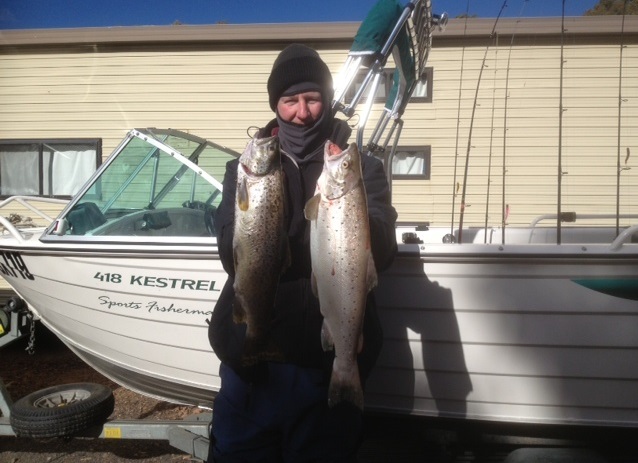 Reports from the top end off the lake have been slow very slow so go to the bottom end where the fish are. Fish caught by Stuart Gilchrist trolling in the Buckenderra Arm. Larger fish a brown just over 5lb caught using a Brown Bomber. Worms under a bubble float is working well and on the bottom no not the Scrubbie try the new ‘’CATCHALL CRAWLERS WORMS’’ to me they have been the best worms we have had for sometime and the reports have been good.